We’ve decided to do a quick comparison between the different options that you have for around 30 MHS Scrypt ASIC miners that are available on the market at the moment in order to give you an idea on how they compare to each other. We have a GAWMiners Falcon Miner (ZeusMiner Thunder X3), Silver Fish Blade Miner and Innosilicon A2Mini Miner that we have either tested already or are currently testing (detailed reviews of the last two to follow soon). On the photo above you can see the three miners on top of each other, so that you can get a good idea on how they compare in terms of size. Do note that they are all different not only in terms of size, but also in terms of power consumption and completeness, and they also do come with different prices as well. Here is a table to compare and summarize the three miners that are all averaging about 28 MHS or slightly more in terms of actual hashrate according to their specs and what we have seen so far in our tests. 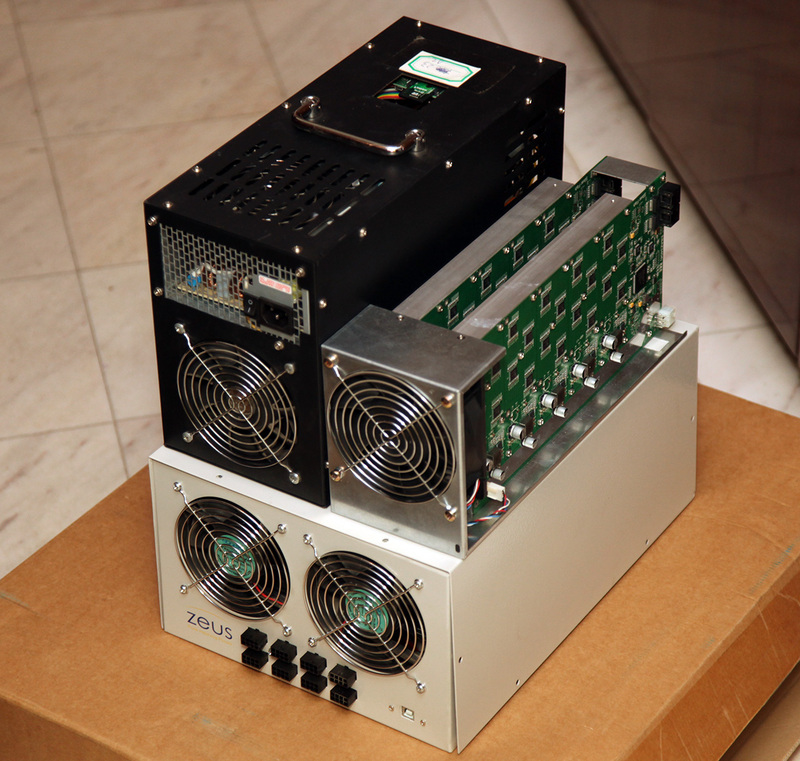 The Falcon is the largest one, essentially a ZeusMiner Thunder X3 from the earlier batches as the newer units do come with a bit different design and Zeus has already announced new miners with lower power consumption, though these are not yet shipping. The A2Mini miner based on Innosilicon A2 chips is the second one in terms of physical size, however this miner differs than the other two with the fact that it contains an integrated power supply and Raspberry Pi controller all built inside the case. The smallest one is the Silver Fish Blade, an interesting open frame solution that is not very widely available and popular outside of China. All of the miners above have their own advantages and disadvantages, but the price is probably the deciding factor for every miner when considering the return of investment expected. This is especially true now when the Litecoin network difficulty has climbed up to a level that ensures just a bit over 1 LTC per day to be mined with any of these Scrypt ASIC miners. Obviously the A2Mini is the worst choice in terms of price, though we do like the miner a lot as it comes as a complete solution ready to be used out of the box and with the lowest power usage. At the price that it is currently being sold however it is not a wise choice and A2 really does need to update their prices. 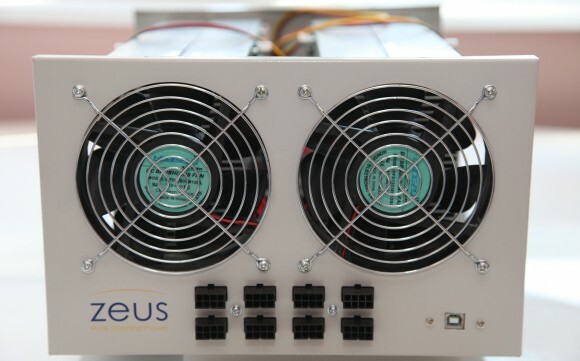 The Silver Fish blade is also an interesting solution, especially with the lower power usage it offers as compared to ZeusMiner’s alternative, here however we do not like very much the not so effective for cooling open design and the Windows only software miner available for the device along with network only connectivity. The price of the Silver Fish is also quite high compared to Zeus’, and even though the ZeusMiner and the branded products from their partners such as GAW’s Falcon with the highest power consumption it is still the most interesting solution in terms of price. 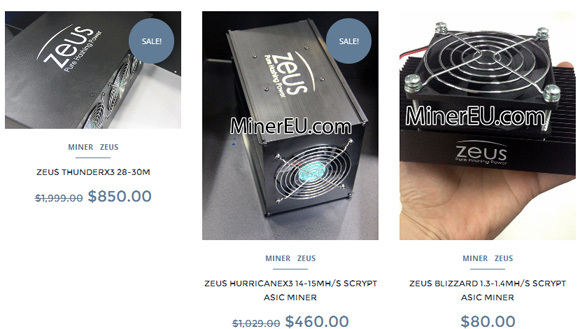 And with the announcement of the new lower power usage products that offer higher hashrate at lower price ZeusMiner is probably the most interesting choice for a Scrypt ASIC miner at the moment as it should be able to offer the fastest ROI at the moment. We have been testing the 27 MHS GAWMiners Falcon Scrypt ASIC Miner, the unbranded version, which is essentially the same as the first batch of ZeusMiner Thunder X3. The later batches have been branded with red GAWMiners cases and have some fixes and improvements from the initial design, addressing most of the small details that needed fixing from the first batch. Things like optimized the case and cooling, providing space for integrated power supply and so on are now available in the new design, so we are not going to be talking much about the small flaws in the first batch as they have apparently been resolved in the new and improved batches. GAW ships their Falcon Scrypt ASIC miners bundled with a ZenController by ZenMiner, essentially a Raspberry Pi with an image designed to provide support for the miner and offer cloud-based control of the device directly through a web site. This makes it easier to monitor and control your miner remotely without having to have direct access to the IP of the miner, be on the same network, or use remote connections etc. 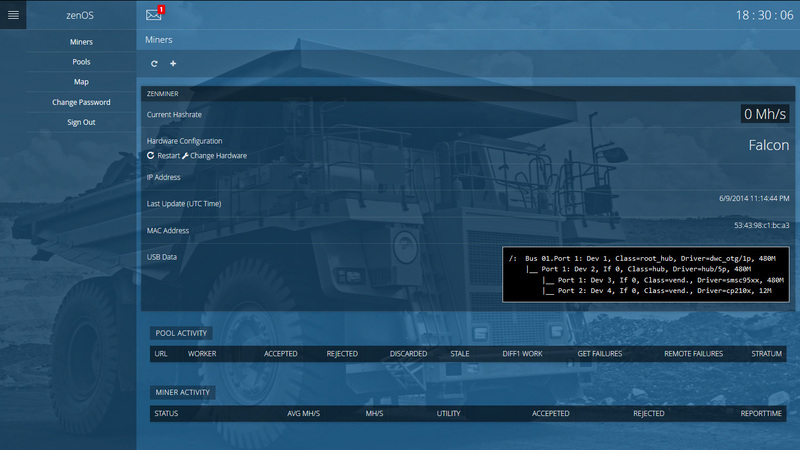 A convenient way to get started without having to rely on a PC to connect and control the miner, though the Falcon does have a USB port and you can use it with a direct connection to a computer as well. If you are not happy with the ZenOS there is also the option to use a different RPi image with support for the Zeus ASIC chips, there are already a few alternatives available. The cooling of the Falcon miner is done with two 120mm fans (HFD12038M12BL), the larger type that are 38mm and not 25mm and these are quite powerful and not so silent. But that is to be expected considering the power consumption of the miner, and is something that pretty much all big ASIC miners that provide a lot of hashpower have in common. Unfortunately we could not find details about the specifications of the fans used, but in general it is not a good idea to try to replace these fans with ones that are more silent as that may lead to not so good cooling efficiency and the device overheating. 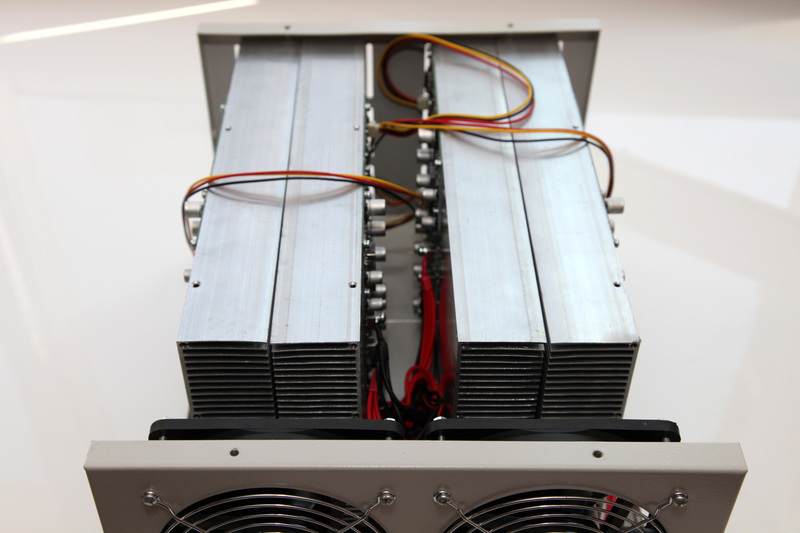 The cooling of the miner is designed in a way that the fans are pulling the air from inside the case and the airflow goes through the large heatsinks, an effective solution from our tests, though the chips still do get quite hot. 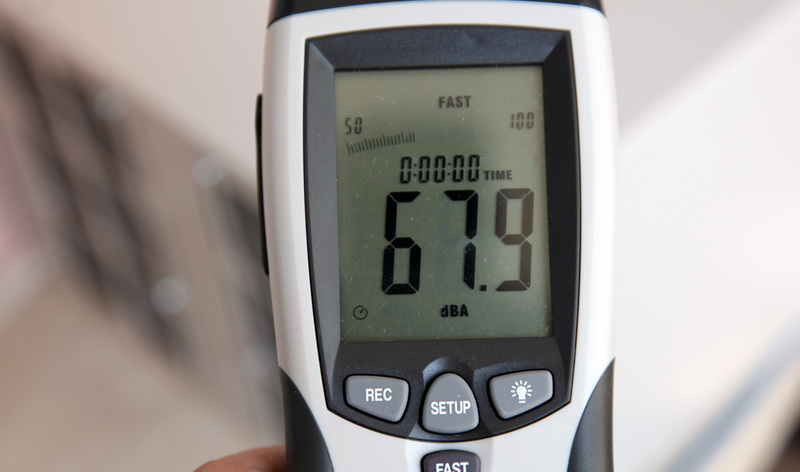 Here is a look at the noise level of the miner running, measured at 1 meter distance from the device – almost 68 dBA. Not very silent, but we have seen other big miners that have been even noisier than that. 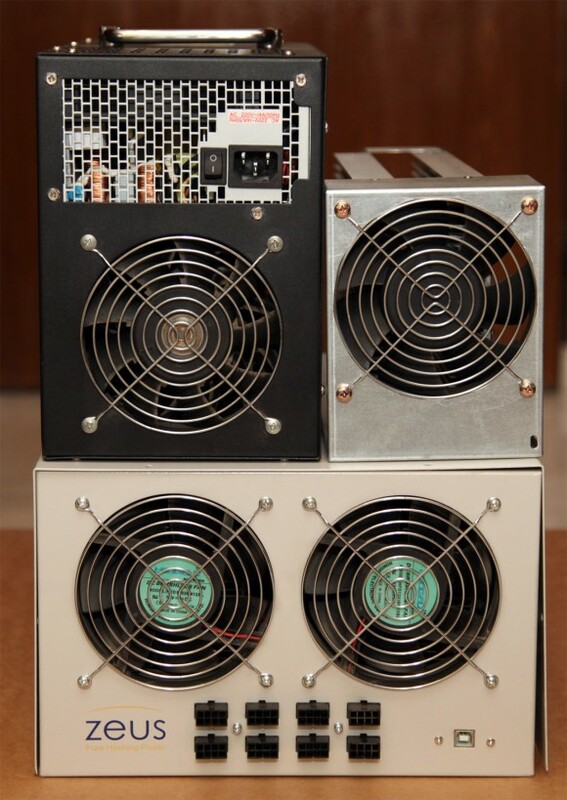 What is clear however is that you will not be willing to put this miner in your living room or bedroom for 24/7 mining as the noise level is not suitable for that, you would want to use the miner in a room where the noise is not an issue and the air circulation is good. Looking at the specifications of the Falcon Scrypt ASIC miner you can see that the power consumption on GAW’s website is 1040W, so apparently a good quality 1000W power supply is recommended to be used with the device. We did measure the power usage of our unit and you can see the results above, but generally speaking a 1000W 80 Plus rated ATX PSU is a good idea to be used. Our test has shown that the actual power usage of the miner is about 916W. 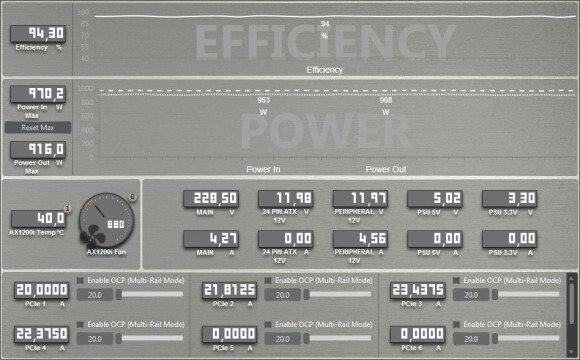 The fact that we are using a more powerful 80 Plus Platinum power supply gives us very high efficiency of over 94% at this serious load, so the total power consumed at the wall is roughly 970-975W. 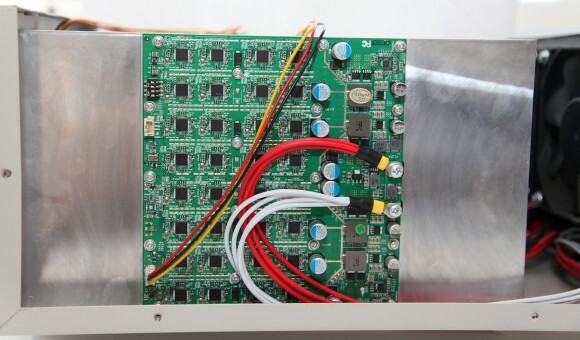 Inside the Falcon miner you can find 4 boards with 32 Zeus Scrypt ASIC chips on each. These are attached to large aluminum heatsinks, though the contact point is not the top of the chips, but instead the back of the PCB. This is the easier approach that many ASIC miners use, especially if you have boards with a lot of smaller chips on them, while if you have fewer larger chips they usually have a heatsink on top of the chip. This cooling design does work well, though often with the back contact point the operating temperature of the chips is higher, but apparently no problem for the 55nm Zeus chips. We did take some images with a thermal camera of the Falcon miner in order to have a better idea on the cooling efficiency of the device. On the outside the Falcon is pretty cool with the hottest areas barely getting up to about 42 degrees Celsius, so the cooling method used is doing very well. We’ve opened the case of the miner to take some thermal images of the inside, and as you can see on the left image, the four big aluminum heatsinks remain very cool at about 30-35 degrees Celsius while the fans are pulling a lot of air though them. Looking at the boards with the ASIC chips they do seem a bit hotter as to be expected, the chips are pretty hot as the design of the miner uses the back of the PCB to transfer the heat to the heatsinks as we’ve already mentioned. Temperatures of about 60-70 degrees Celsius are apparently something that is not a problem for them, though you should be careful not to get the temperatures much higher like for example leaving the miner to work with an open case for some time. The power modules of the boards do seem cooler than the ASIC chips, though they do get a bit hot as well. 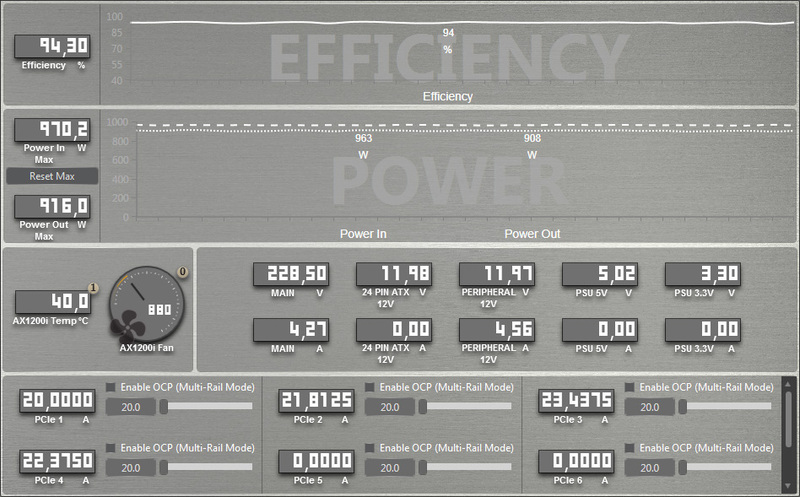 Time to talk a bit about the performance you can get from the 27 MHS Falcon Scrypt ASIC. These miners are rated at 27 MHS or more from GAWMiners and they do manage to deliver even slightly higher average performance when you run them at the recommended operating frequency of 328 MHz. The minimum average hashrate we got at the LTC Rabbit mining pool for a period of 24 hours was 25674 KHS and the maximum was 29332 KHS with an average across the whole day of 27882 KHS. 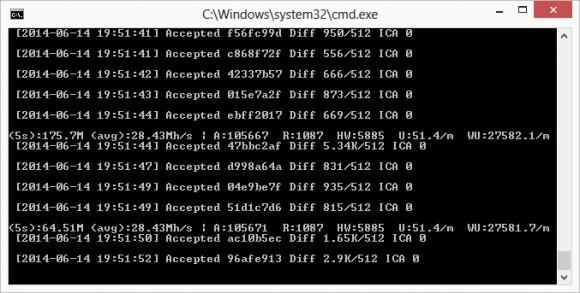 Trying out the Scrypt ASIC miner at the ScryptGuild mining multipool where you mine altcoins and get payments directly in BTC has shown us very similar performance – the average hashrate poolside was about 27738 KHS. Looking at the locally reported hashrate when running the cgminer 3.1.1 with ZeusMiner support also shows an average performance of 27.5 MHS as well, looking at the reported WU number that is recommended to be used for judging the actual local hashrate. So we can conclude that the 27 MHS GAWMiners Falcon Scrypt ASIC miner is really delivering what is being promised and the power rating, although a bit high, is also true as claimed (actual power usage is a bit lower with a good quality PSU). The unbranded Falcon miner from GAW did have some small design flaws that we have noticed, but we’ve seen pretty much all of them being addressed in the newer design that the branded Falcons (with red cases) use. What still seems to be missing though are the rubber feet on the bottom of the case, but you can easily add these yourself, so not much of a problem anyway. With the current price of $1929.95 USD for the latest batch the Falcon does look quite attractive with the performance it offers, though do not forget that you will also need a 1 KW ATX power supply as the miner does not come with a built-in one, so that is some extra cost if you don not have the PSU already. The Falcon using the Zeus 55nm chips at the current prices is an attractive choice as the main competition, currently also shipping hardware, that uses 28nm Innosilicon A2 chips with lower power consumption is about twice as expensive in terms of price for the same hashrate.